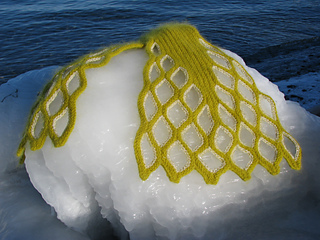 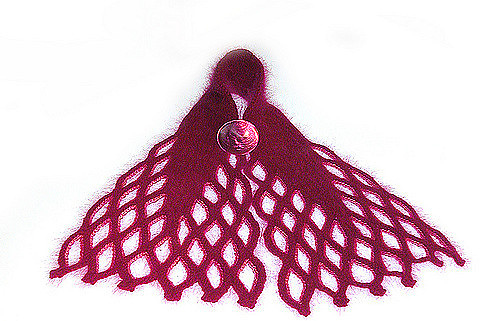 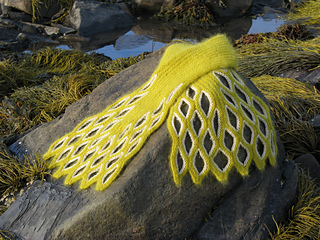 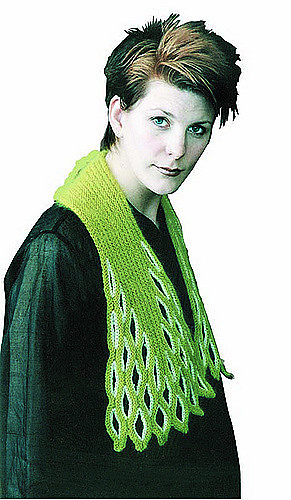 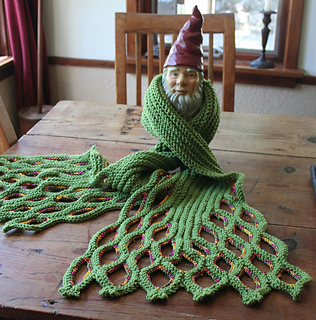 An unusual technique for incorporating fresh air in your knitting gives a scarf with sinuous fish tail/ tree root ends. 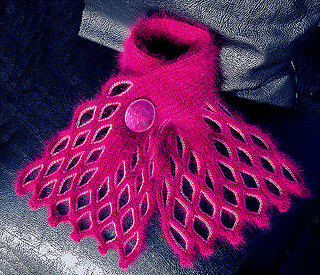 Knit sideways, very easy knitting with some crochet chain finishing required. 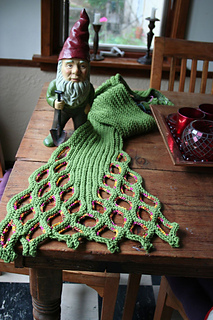 Yarn - ideal for DK /sport yarns with a little loft. 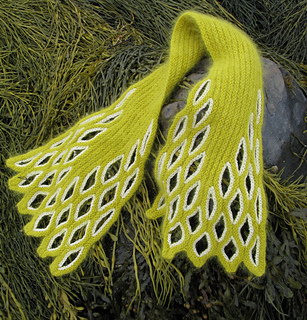 The original pictured was worked with one skein of Kimmet Croft 60 /40% wool /angora (see Other ports of call ). 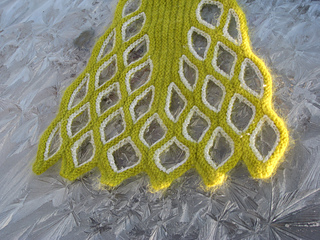 A little contrast yarn will be needed to highlight the holes! 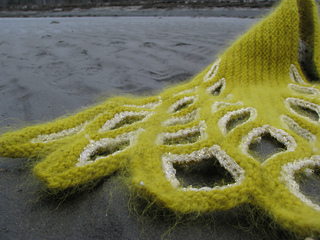 Techniques - Cast -off cast on, waste yarn openings (Both illustrated).